Is there any difference between “Constantine: City of Demons” and “Constantine: City of Demons - The Movie”? 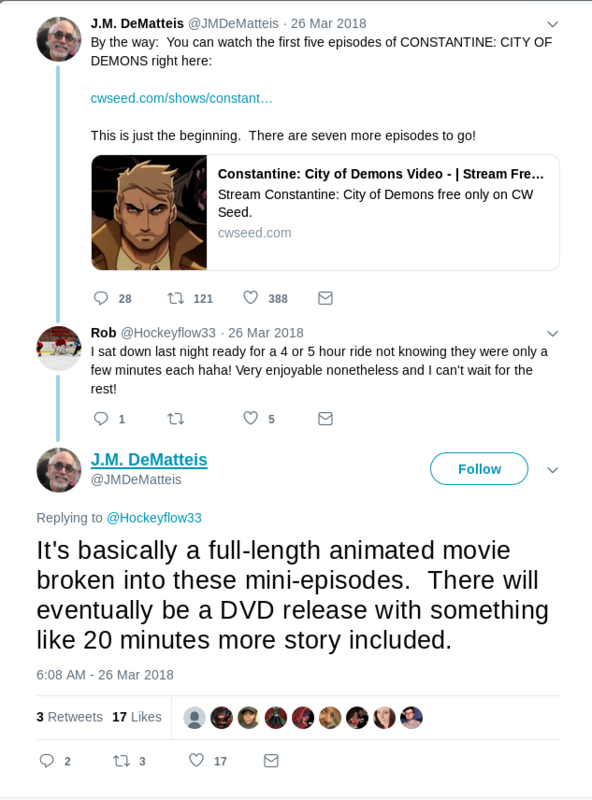 I was following DC Animated Movie Universe films and next on the way was Constantine: City of Demons - The Movie (2018) but it was a web series before known as Constantine: City of Demons. Now I am confused which version to follow and if they are even any different from each other? Like previously CW/DC/WB added more content when they converted Vixen web series into a movie. So did they add or remove any scenes from the movie version? Got J.M. 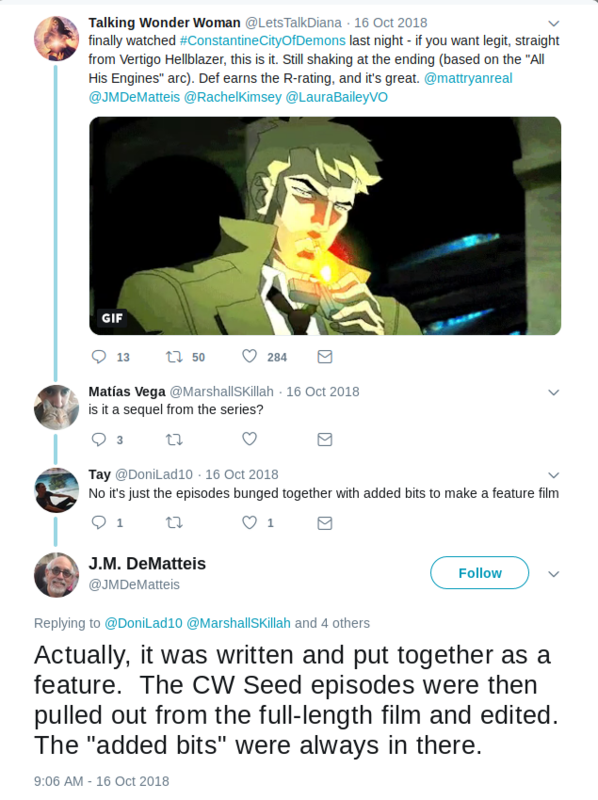 DeMatteis's tweet about it. Though perhaps the biggest change from watching City of Demons as a movie is how much darker and mature the content has become. Is it just me or did some new, more edgy imagery get added to it, in addition to all of the new story? That old Hollywood demon party certainly took on new levels of psychological horror that definitely didn't stream on CW Seed. And when Constantine literally screws Los Angeles (yes, the actual city), things get pretty R-rated. It makes sense for the character and the source material, but it's easy to see why this story works best in animation as it takes full advantage of the medium. Not the answer you're looking for? Browse other questions tagged alternate-version dc-animated-movie-universe constantine-city-of-demons constantine-city-of-demons-movie . Are there any differences between the new and old Titanic version besides 3D? Any differences between The Avengers releases? What are the differences between the Region 1 and Region 2 Releases of Revolver? What are the differences between the 138min and 131min versions of Christiane F.? Are there any differences between Supergirl's leaked episode and the broadcast one? What is the difference to the international version of the Twin Peaks pilot and why is there a difference? Why change the order and merge episodes in the extended Sin City? Are there multiple versions and what are the differences? Which canon is Constantine: City of Demons part of?